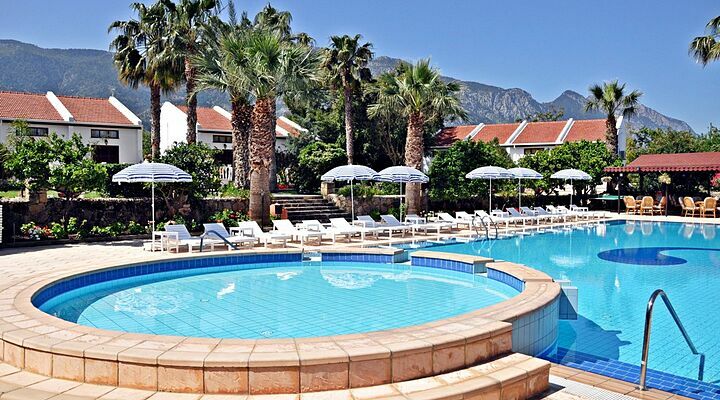 7 Nights from £469 inc Flights, Hotel & VIP Transfers - £141 OFF! 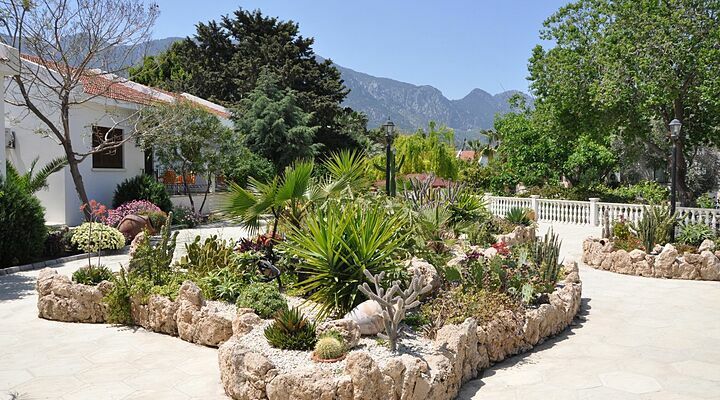 Set on the gentle slopes of the Kyrenia mountains at Alsancak, this family-run three star hotel offers villas and spacious hotel rooms, lovely views to the mountains behind, and an unbeatably warm welcome to all their guests, young and old alike. 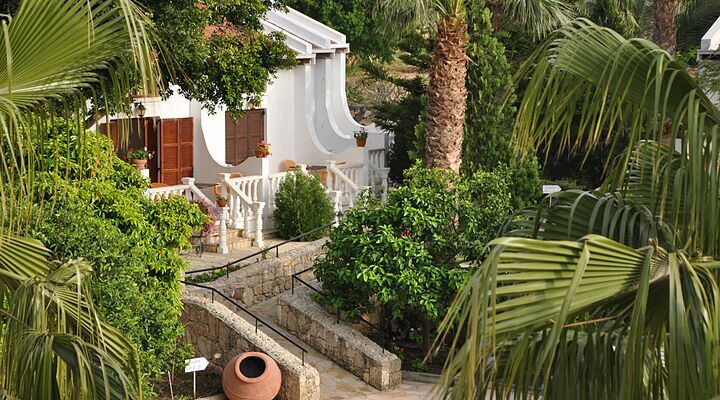 Consistently voted one of the top hotels in North Cyprus, and a particular favourite of the Go North Cyprus team, this is a genuine 'home from home' three star holiday village. 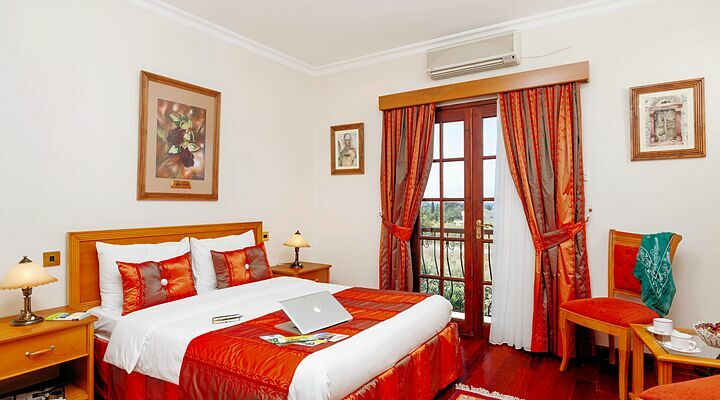 The Almond Holiday Village is a family-run hotel that prides itself on welcoming visitors - there's even a sign outside the main building that says "Welcome to Our Home"! 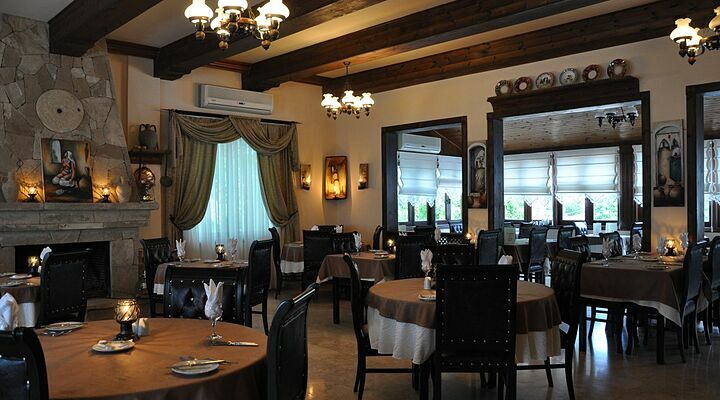 Nothing is too much trouble for the efficient and courteous staff at this popular 3 star North Cyprus hotel, making you feel relaxed from the moment you arrive. 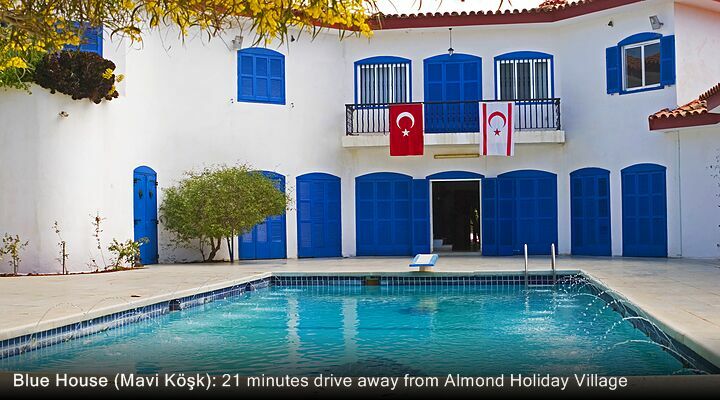 The Asik family who built and manage Almond Holiday Village resided in the UK for a number of years, therefore are fluent English speakers and offer exceptional customer service and hospitality. 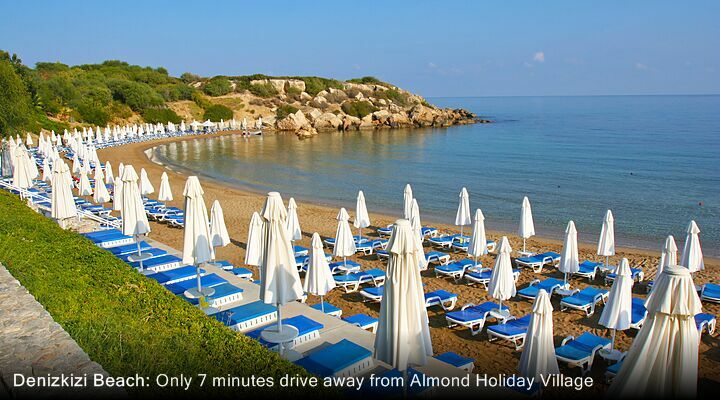 Love the idea of a summer holiday at the Almond Holiday Village? 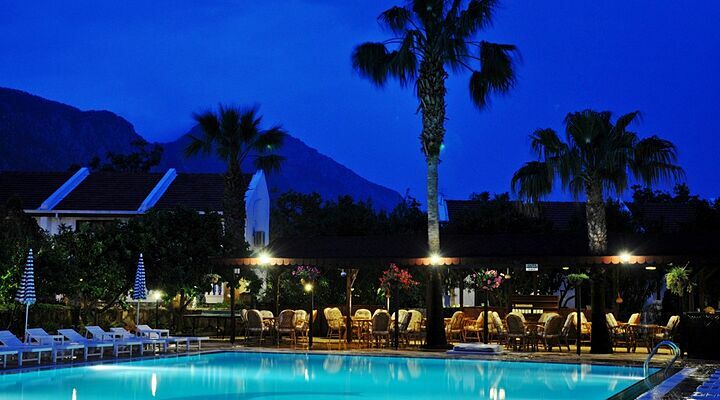 Go North Cyprus is ATOL protected and bonded with the CAA, so you can book with confidence. 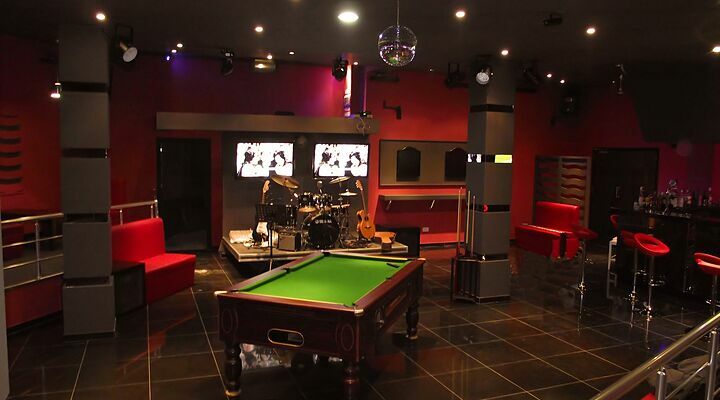 Call us on 0800 612 6600 or book now. 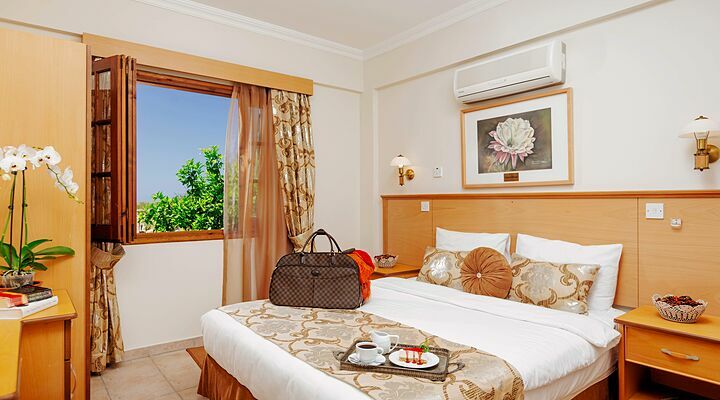 Set in the well-tended stunning gardens, your spotlessly clean private villa or bungalow will have everything you need, including a terraces, air conditioning, bathroom with shower and either a private sun terrace or balcony. 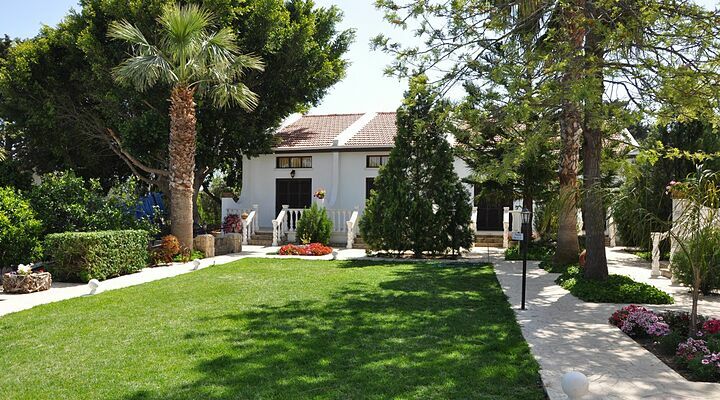 The stand-alone Two bedroom cottages at the Almond Holiday are perfect for families and friends. 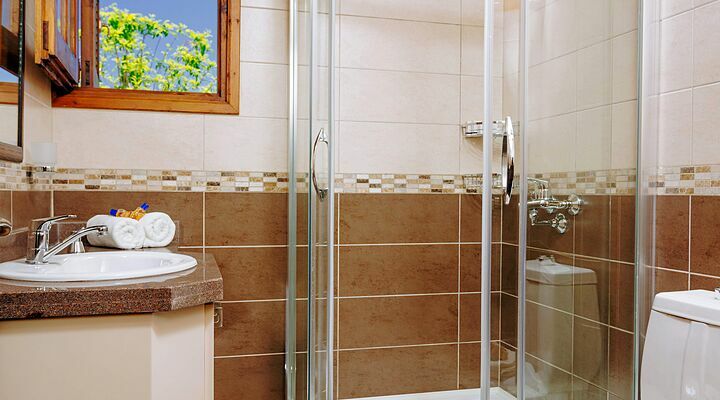 The semi-detached cottages offer more space and easy access from the pool area via a little bridge, making them easily accessible to those with mobility issues. 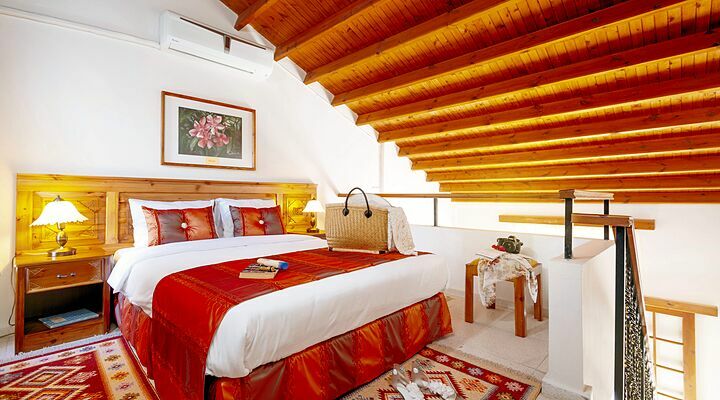 The traditional style villas are set over two floors, with a lounge downstairs and a mezzanine sleeping area. 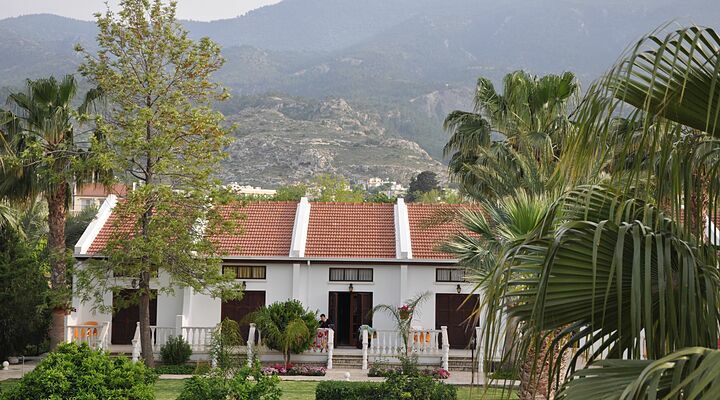 The Almond also offer a One two bedroom Disabled friendly villa that is located close to all the amenities. 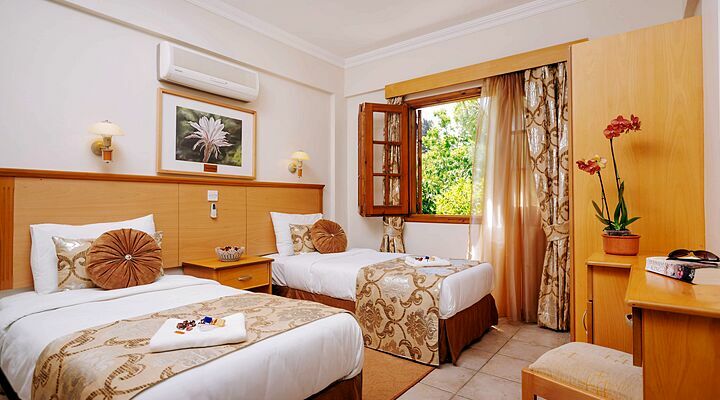 The hotel rooms are nicely appointed with air conditioning, ensuite bathroom and Juliet balcony. These are located in the main building. 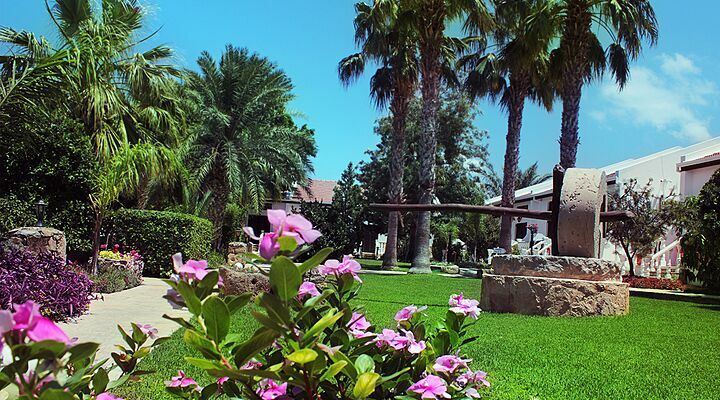 Dotted through the gardens are old Cypriot antiques and artifacts such as mill stones and old carts, that tie the hotel into the history of this part of Cyprus. There’s a shady children's play area with swings and see saw, so little ones can enjoy playing even in the warmest times of the day. 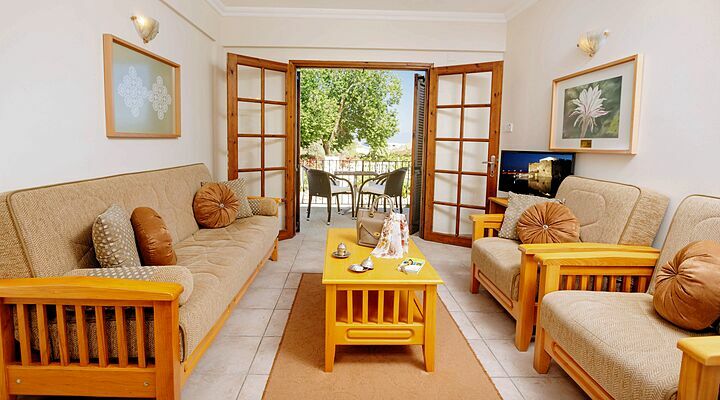 Almost every review you'll read of the Almond Holiday Village will remark how clean the whole complex is. This is particularly true of the well appointed swimming pool, consisting of a large main pool and a separate small circular pool for young children. 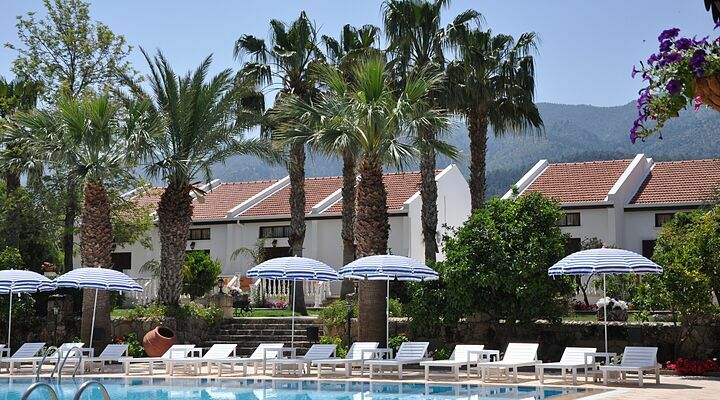 You can swim, sunbathe and chat all day long under the waving palm trees. 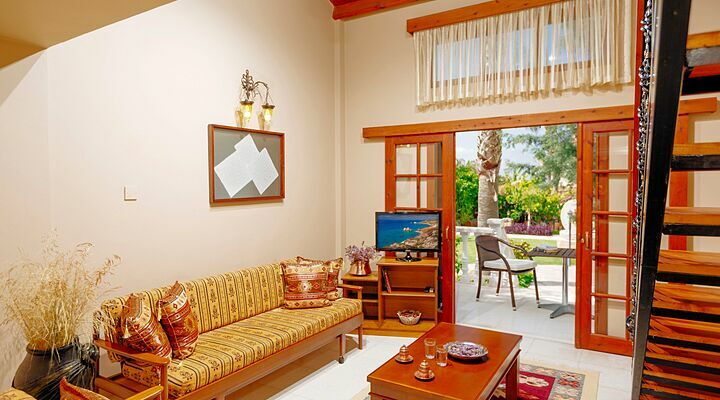 Cosy Ottoman corners with divans and cushions invite you to sit and chat over a refreshing drink from the Poolside bar. 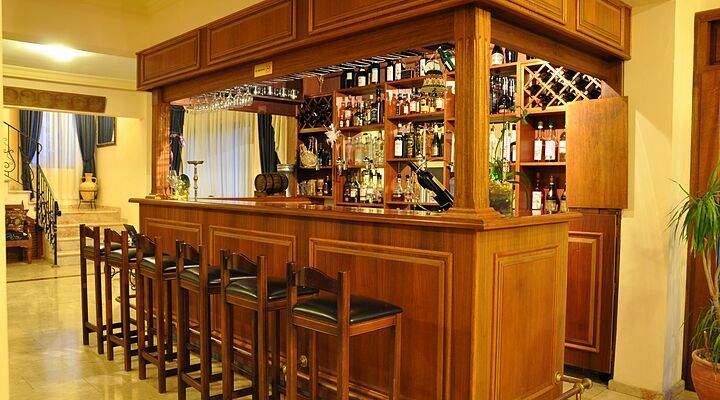 At night, the covered pergola becomes an open air dining area, with the sweet smell of Jasmin. 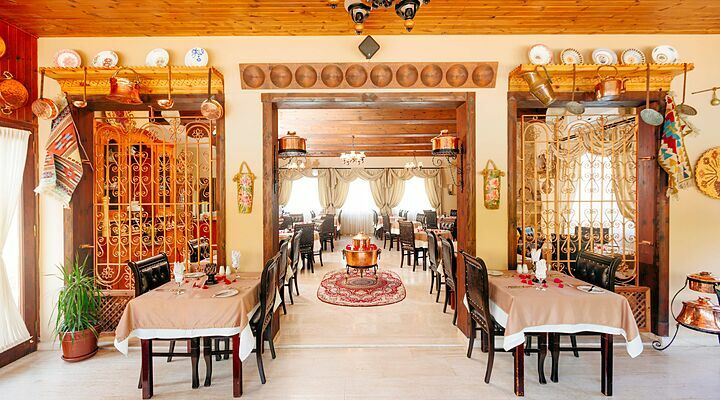 Enjoy a more authentic dining experience at the Almond Holiday Village, where the dining room is lined with Cypriot items and furniture, giving it the atmosphere of a local restaurant. 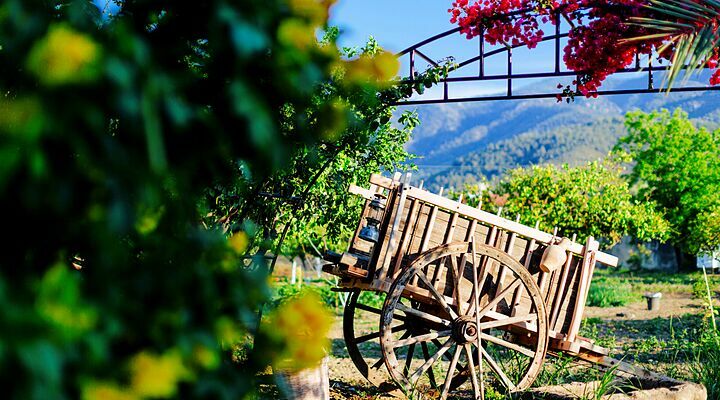 The hotel organically grows its own ingredients in their vegetable garden and orchard, and even makes its own jams, soups and sauces. Free range eggs at breakfast come from the hotel's onsite mini farm, and fish is sourced straight from the fishing boats in nearby Lapta harbour! 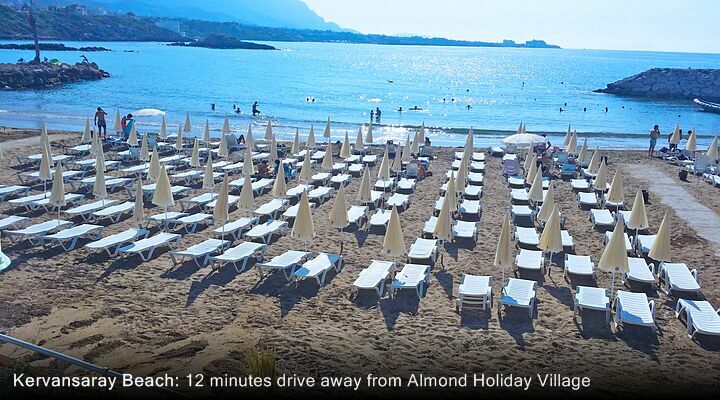 Set below the foothills of the mountains, the Almond Village enjoys cooling breezes in summer, yet it’s also within easy reach of Camelot Beach and Alsancak village within 10 minutes walking distance. 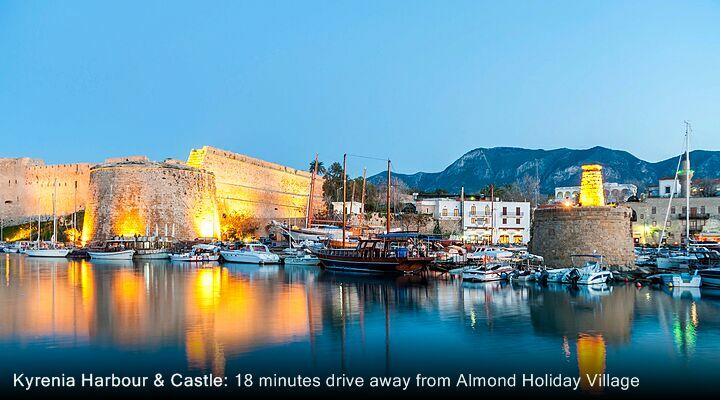 The pretty town of Kyrenia is just 8 miles away, ideal for a day out shopping or exploring the historic Venetian harbour area. 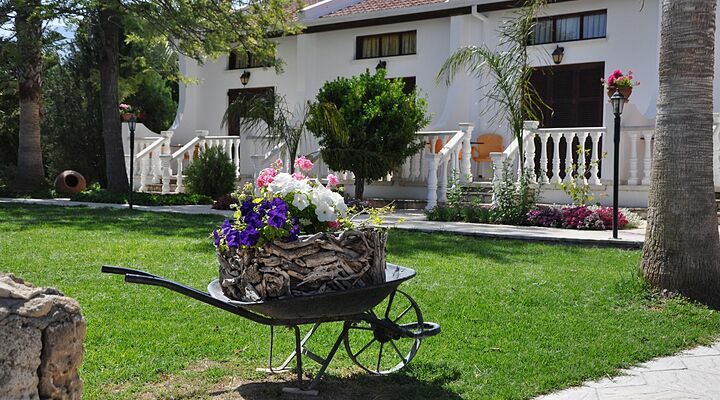 When you arrive on your North Cyprus flight, and once you've collected your bags, it's just a 45 mins transfer time from Ercan Airport to your villa at the Almond Holiday Village. 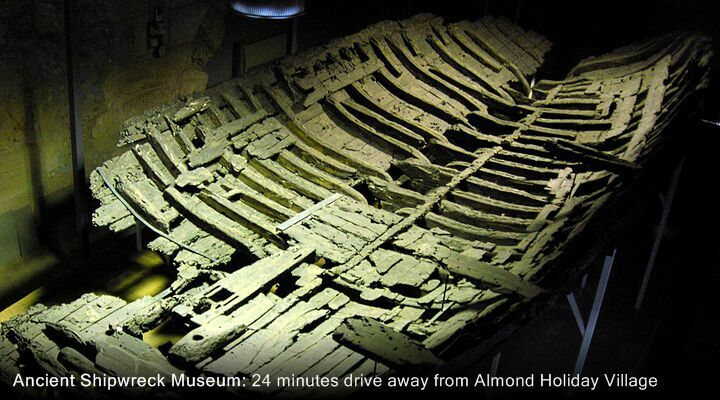 So you can enjoy more time in the sunshine, and less time at the airport.